I think that the hot pads are not pretty much popular on our web site and it is always risky when doing an article about them because we can lose some followers or readers. But I like is so much that I decided to share it with you and hope that you will love it as much as I do or even more. 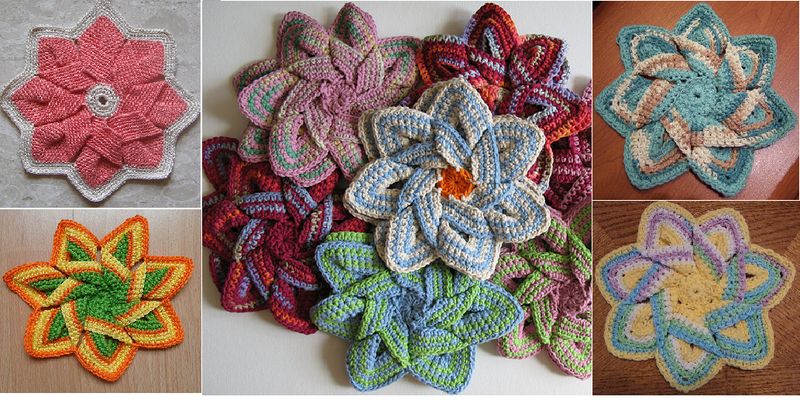 The pattern can be downloaded and that means that if you don’t have any time to start working on this or you are already working on another project you can same it and crochet the flower hot pads later. I hope you will enjoy the article and if so please share it with your friends and other crochet lovers to give them an opportunity to crochet this beautiful hot pads too.